We dusted of The FRO Horsemen gimmick to predict the winners of both the men and women Royal Rumble matches this Sunday. We also give out what surprise entrants we would like to see. This page covers the 30-Man Over-The-Top Royal Rumble match and the next covers the first-ever 30-Woman Over-The-Top Royal Rumble match. That’s it. Ring the bell. WWE has been about as tight lipped about Roman versus Brock Lesnar at WrestleMania 34 as they were about him being THE guy. So without him having any smoke with Brock right now, I don’t know how else you set this up. This is the safe/not so safe pick. Fans want to see this so we can see the dream match between Shinsuke and AJ at Mania. But we all have a realistic sense of dread because of Brown Cena aka Roman Reigns, who we’ve heard has been penciled into another title reign since PAC dropped Hit Em Up. However, Elimination Chamber is a Raw PPV, so Reigns doesn’t need to win the Rumble to get to the belt, and Vince doesn’t have to piss off Philly again with another Reigns Rumble win. So gimme the King of Strong Style. 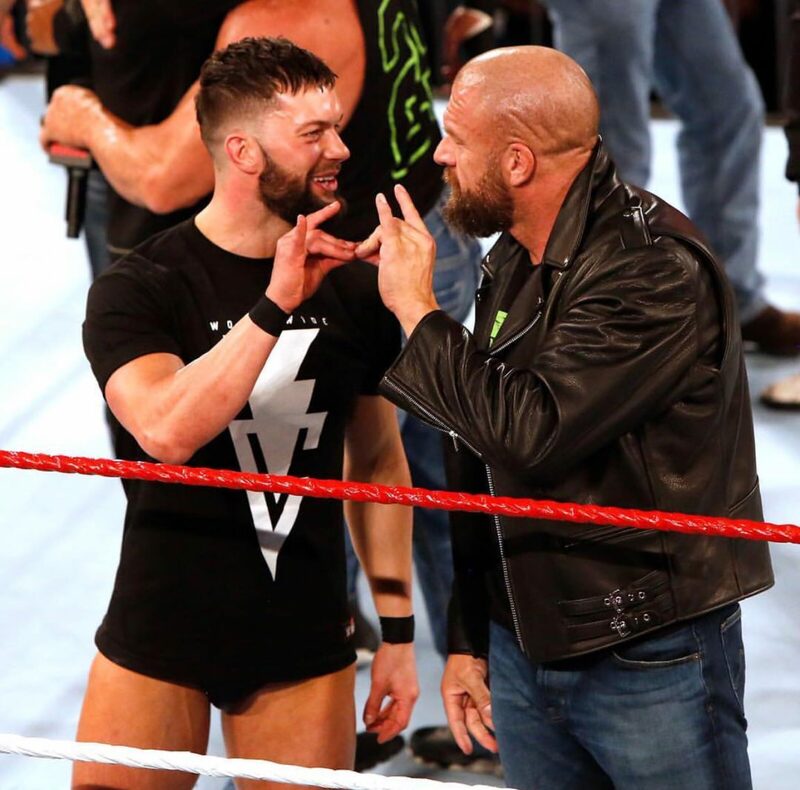 On the WWE Raw 25 episode, when DX and Balor Club were in the ring “two sweeting” like hell, it felt like Triple H was cosigning Finn Balor (Just look at this picture). Also, you remember the first time Randy Orton won the Royal Rumble back in 2009? He did it with a lot of help from Legacy (Cody Rhodes & Ted Debiase Jr). 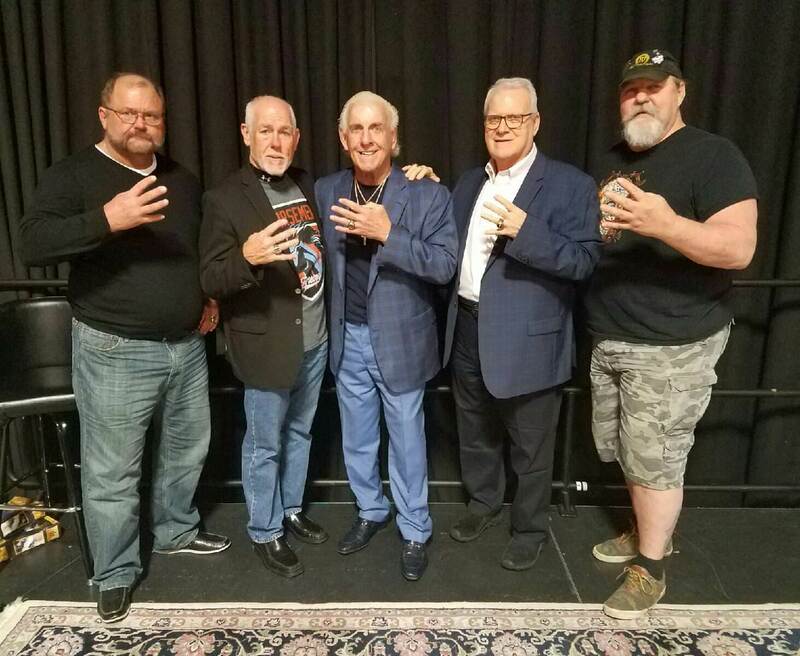 Couldn’t The Club (Luke Gallows & Karl Anderson) do the same thing for Finn? Saule Wright: Authors of Pain. It’s time. Having these two come in the Rumble and toss people out would be awesome. No it doesn’t make sense for a tag team to be in there, but the pop would be worth it. B-Easy: Neville. Come on back. Enzo is gone now. We miss you man.